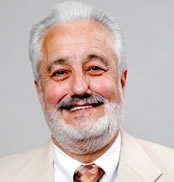 A principal of D&D, for which he serves as Vice President of Violations & Testing, Nunzio also oversees all modernization, construction jobs and teams for the company. He additionally conducts and organizes testing of all the elevators prior to their release to their owners. He joined the D & D team in 1984 as the Manager of Construction, troubleshooting the modernization and construction teams. Nunzio arrived at D&D with a wealth of experience in the elevator industry. Starting out as a helper with Knudson Elevator in 1972, he worked his way up to mechanic and, in 1976, opened his own company, Mark IV Elevator, running it until 1980 and selling it. For the next 4 years, he worked for various companies as an independent troubleshooter and light repairs contractor. Today, at D&D, Nunzio works on a daily basis with building owners, managers and consultants, keeping them closely updated on the status of their elevator jobs. These duties have him working with vendors and subcontractors, identifying the requirements of each project and bring that project in safely and on time. On each job, he communicates with the mechanics and helpers, quickly solving problems as they occur. Further, he coordinates all Department of Buildings Category 1 and 5 testing. Nunzio takes particular satisfaction in completing and delivering jobs on a timely basis, always staying trained in new techniques, and, in turn, passing this knowledge on to the mechanics to ensure the highest levels of safety!